Happy Summer everyone! I created a game that you can use to help students/clients work on improving their working memory skills. 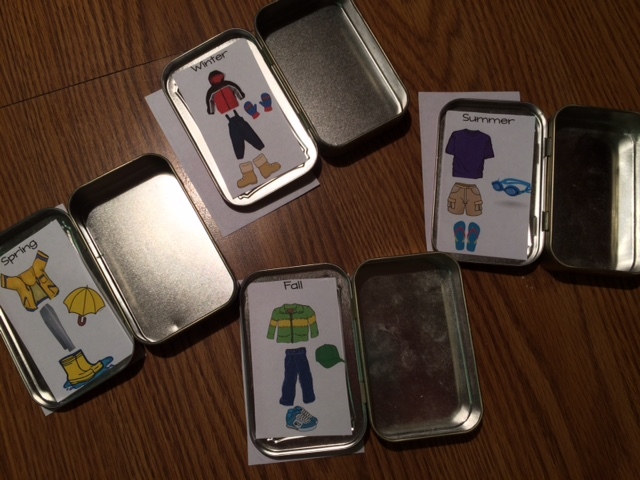 The game will require a small amount of cutting/laminating on your part to put it together, and you will need to get 4 large size Altoid tins. 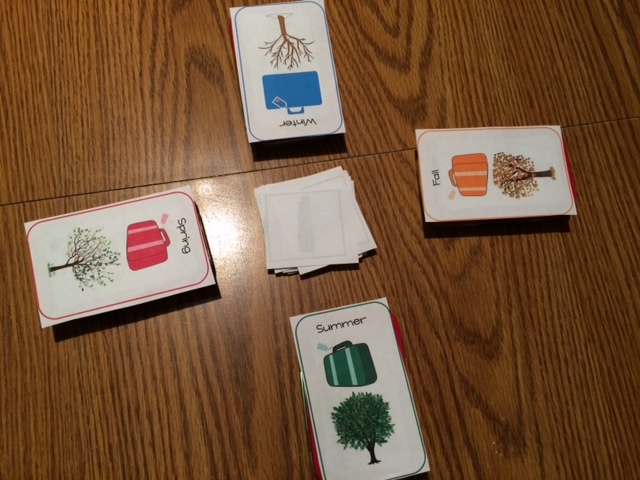 Players work on retaining and recalling information of up to 4 parts while using both visual and verbal prompts for recall. 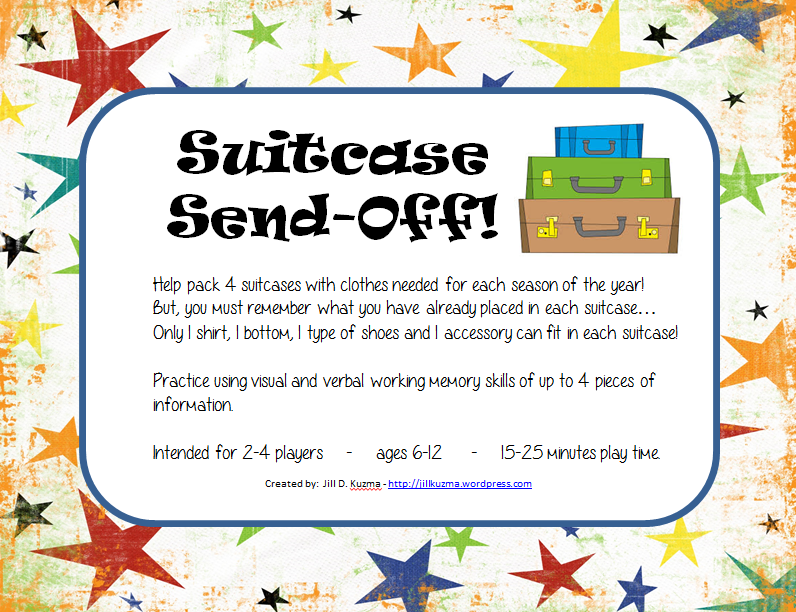 The goal of the game is to pack 4 suitcases with an outfit for each season of the year. 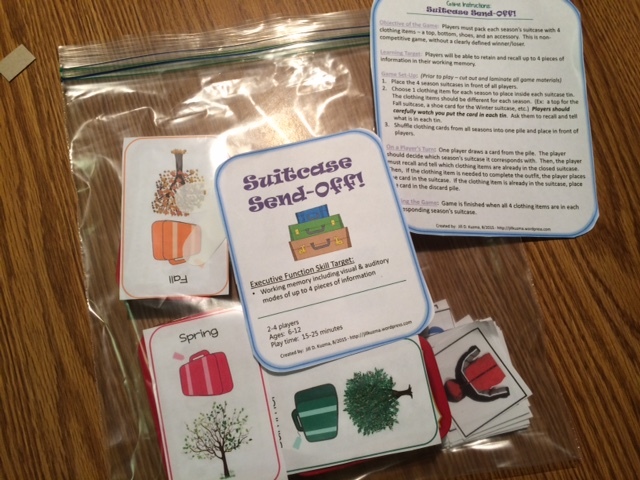 Players need to remember which items have already been placed in each suitcase as the game progresses. The game is best suited for 2-4 players between the ages of 6-12. 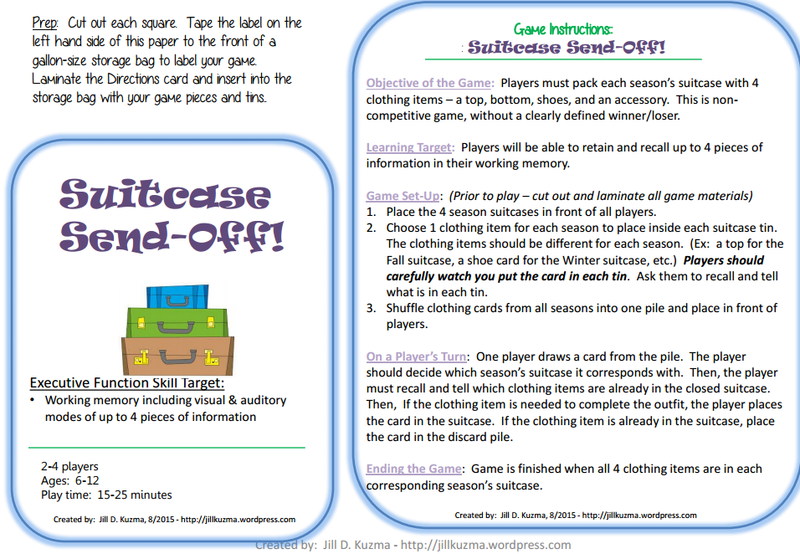 Instructions and photos of the game set-up are included in the PDF file below.